Over six million children in the U.S. have asthma. Medical studies have shown that long-term exposure to mold in your home can double your child’s risk of developing asthma. But there are some solutions to prevent and reduce mold in your home. Molds are fungi – plant-like organisms that grow outside or indoors. Inside your home, molds grow in damp areas, like your kitchen, bathrooms or basement. Molds produce millions of spores that can become airborne in your home. When your child breathes in these spores, it can cause an allergic reaction that may develop into asthma due to respiratory irritation. The odor of household mold has been found to increase a child’s risk of developing asthma by about 2.5 times. Musty odors can also cause nose, eye and throat irritation. Keeping humidity levels low (no higher than 50%) throughout the day by using a dehumidifier. Ensuring your bathroom, laundry and kitchen are properly ventilated. Exhaust fans and clothes dryers should be vented outside your home. Promptly fix any leaks in your roof or walls, or around pipes or windows, to keep mold from growing. 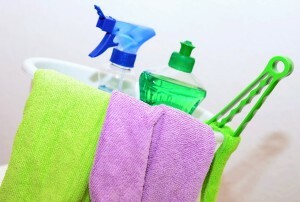 Thoroughly clean and dry areas after flooding, preferably within 24 to 48 hours. Get rid of carpets or upholstered furniture that becomes wet and can’t be promptly dried. Install a high-efficiency particulate air (HEPA) filter on your central air conditioning unit to help trap mold spores and keep them from circulating in your home’s air. Have your air ducts cleaned by T. J.’s Chimney Service of Greenfield, IN. Duct cleaning can help remove mold spores as well as dust, pet dander and other debris clogging your air ducts. While the Environmental Protection Agency says there’s not enough evidence to support the claim that duct cleaning can prevent asthma, it does recommend that you have your home’s air ducts cleaned if substantial visible mold is growing inside your ducts or on other parts of your heating and cooling system. Contact T.J.’s Chimney Service to schedule your air duct cleaning appointment today. Never burn unseasoned firewood. Only burn wood that’s been allowed to dry in an open outside area for 6 to 12 months before you use it in your fireplace. Unseasoned firewood contains water which causes steam to form as you burn it. The steam cools your chimney, causing the smoke or gases in the fire to condense and creosote to form. Use a moisture meter to help you determine if your firewood is ready for burning. Test the inside of the log which holds moisture longer than the outside. Don’t burn artificial logs in your fireplace. These packaged logs create a lot of combustion gases which can leave creosote deposits inside your flue. Burn hot fires rather than slow-burning, smoldering fires. When starting a fire, arrange the firewood with modest gaps in between the logs for better airflow and a cleaner burn. Don’t close glass or ceramic fireplace doors too soon before the fire is burning hotly. Shut doors can restrict air flow which can lead to creosote deposits on the inner walls of your flue. So keep your doors open for better air flow. Warm your flue before you build a fire if your chimney is made of metal or on an outside wall of your home since it will likely be colder due to colder outside temperatures. Roll up a piece of newspaper, light it and hold it under the open damper until you feel the air getting warmer and the draft reserve. A cooler flue can lead to poor combustion and a greater amount of creosote buildup. If you have an older fireplace insert that’s vented into a masonry chimney, have a chimney professional, like those at T.J.’s Chimney Service, inspect your flue to make sure it’s sized correctly. Flues that are too large can cause smoke to hang around in the chimney longer than it needs to, leading to creosote buildup. 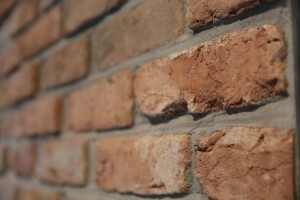 Contact T. J’s Chimney Service and schedule an annual chimney inspection and cleaning. While you could buy chimney brushes and clean your chimney yourself, it can be a time-consuming and dirty task. Plus, you may not be sure you cleaned your chimney thoroughly enough. So hire a professional to do it from the get-go. You’ll be glad you did. Because not only will you save the life of your chimney, you’ll be saving the lives of your family from a potential house fire. Did you know that Americans spend about 90% of their lives indoors? Now that the weather is turning colder, this is certainly true. And with the arrival of colder weather, most Hoosiers have turned on our homes’ forced-air heating systems to keep warm. But did you notice after you cranked on your heating system that you started coughing, sneezing or wheezing? If so, you may suffer from asthma or allergies symptoms. And your forced-air heating system could be the culprit. Over time, dust and other debris can build up in your home’s air ducts. So when you turned on your forced-air heating system, these contaminants were blown out of your air ducts along with the warm air. Some common indoor allergens that may be floating in your home’s air include dust mites, mold spores, pet dander, plant pollen, and insect particles. These contaminants can aggravate any allergy, asthma or other breathing problems you may have. Thoroughly clean all carpets, drapes and fabric-covered furniture to remove dust mites. Use a dehumidifier to keep your home’s humidity below 50% to control dust mites and mold. Install high-efficiency particulate air (HEPA) filters in your forced-air system to help remove 70% to 90% of solid contaminants in the air. Periodically clean or replace these filters. 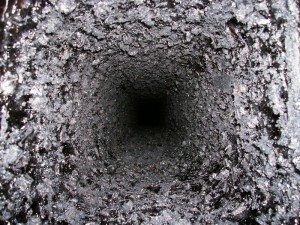 Have your air ducts cleaned by the professionals at T.J.’s Chimney Service in Greenfield, IN. Duct cleaning will remove dust, pet dander and other debris clogging your air ducts. Our specialists can clean and deodorize all of the registers, vents and cold air returns in your home in about 2 to 3 hours. Substantial visible mold is growing inside your ducts or on other parts of your heating and cooling system. Your ducts are clogged with excessive amounts of dust and debris. Or you notice particles are actually being released into your home from your supply registers. Therefore, contact the air duct cleaning specialists at T.J.’s Chimney Service today to schedule your air duct cleaning appointment. Afterwards you’ll notice considerably less allergens floating in your home’s air, and hopefully, you’ll experience fewer asthma or allergy symptoms this winter. The heating season is almost upon us. Before you light a fire in your fireplace or heating stove, you need to have your chimney or venting systems inspected and cleaned – as well as repaired, if needed. Hidden heating system and chimney defects can lead to damaging fires and potentially deadly carbon monoxide poisonings. Unfortunately, some chimney sweep companies out there may not have the licensing, training and expertise to do the job properly. Therefore, it’s important to make sure you hire a company that has trained and knowledgeable chimney sweeps to ensure the safety and efficiency of your home’s fireplace or heating stove. How long has the company been in business? A company that’s been in business for five or more years has a proven track record. J.’s Chimney Service, located in Greenfield, Ind., has been in business for 35 years. How much experience does the company’s employees have? A properly trained chimney sweep has the know-how and skills to do the job correctly. Look for companies, such as T. J.’s Chimney Service, that have chimney sweeps certified by the Chimney Safety Institute of America (CSIA). This certification means the chimney sweep is knowledgeable in the care, maintenance and repair of all fireplaces and heating stoves and their chimneys and venting systems. Additionally, look for companies, like T. J.’s Chimney Service, that belong to the National Chimney Sweep Guild, which promotes professionalism, ethical conduct and ongoing education of its members. Does the company carry current business liability insurance? 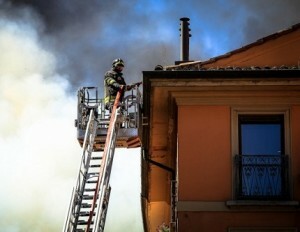 Liability insurance protects your home against damages, and you and the chimney sweep against injuries due to accidents. If the company doesn’t carry insurance, you would assume all liability. T. J.’s Chimney Service carries liability insurance for your peace of mind. Can the company provide references? A reputable company should be able to provide you with references from previous customers. Also, contact the local Better Business Bureau to see if there are any unresolved complaints against the company. T. J.’s Chimney Service is a member of the local Better Business Bureau, and we would be happy to provide you with a list of references from our many satisfied customers. If you need to get your fireplace or heating stove inspected and cleaned this fall, contact T. J.’s Chimney Service at 317-455-5310 to schedule your annual chimney inspection before the cold weather arrives.